On Thursday, March 15, the McLennan County Republican Club held its monthly meeting at the Texas Ranger Museum in Waco. 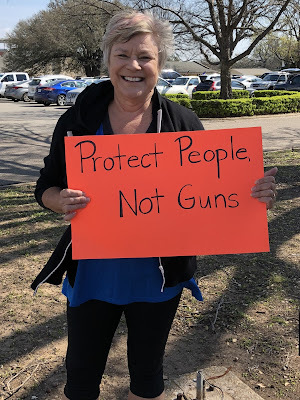 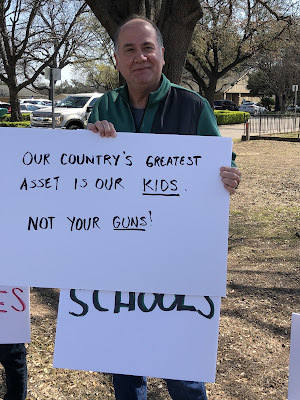 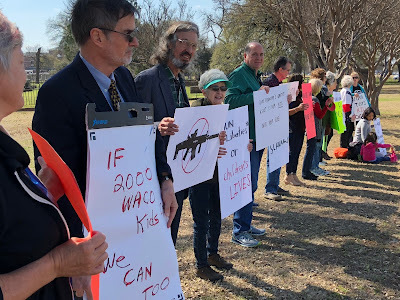 Featured was Ted Nugent, speaking on “Protecting Our Gun Liberties in Crazy Politically Correct Times.” Members of Waco Friends of Peace/Climate, along with friends from Baylor, Lake Shore Baptist Church and other individuals, stood in protest at the entrance of the museum parking lot. 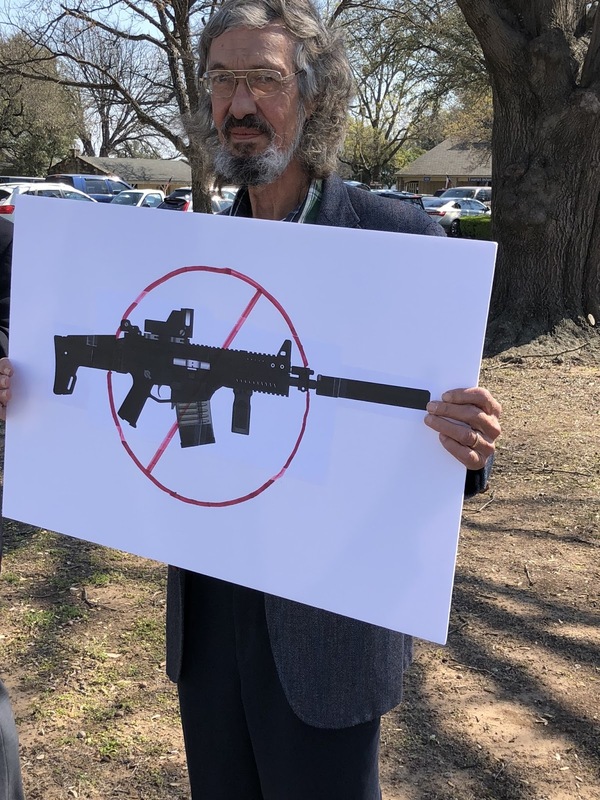 We called out the Republican Club for selecting the despicable Ted Nugent to speak. 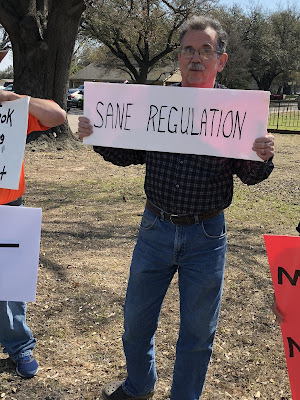 We expressed outrage that this Republican organization would belittle efforts to save lives through sane gun control by labeling those efforts “PC,” thus dishonoring the memory of all those slain in mass shootings. 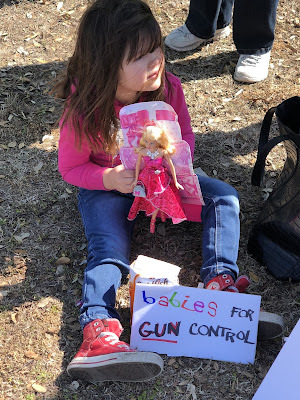 Over 20 people participated in the demonstration, including a three-year-old attending her very first protest! There was some positive response from people entering the parking lot, and there was good media coverage from the Tribune Herald and two or three television stations. 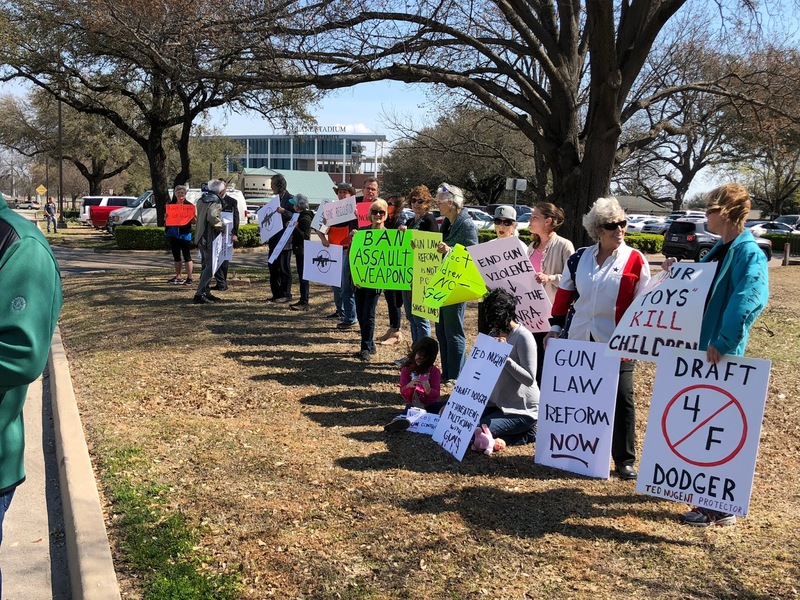 Waco will be holding a "March for Our Lives" event at 3 PM, March 24, at Heritage Square. This will be in support of similar events nationwide.